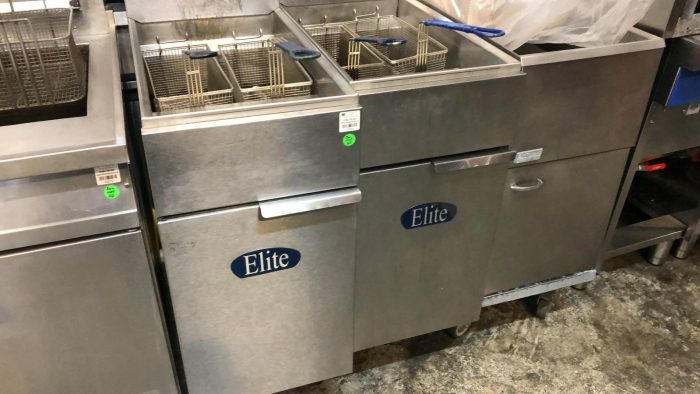 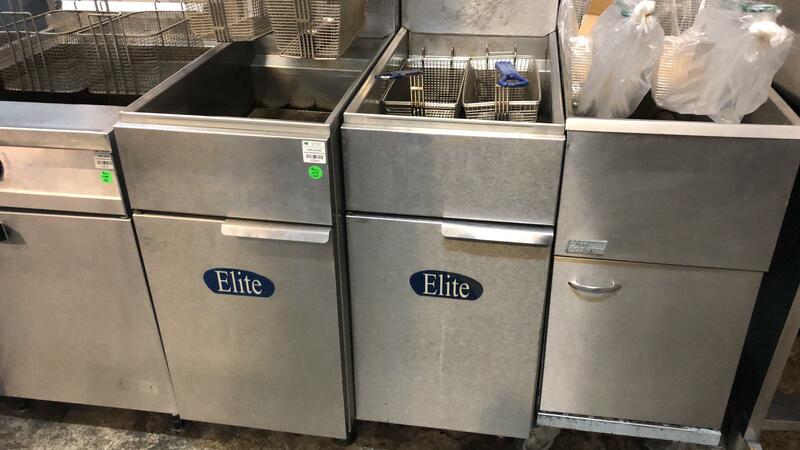 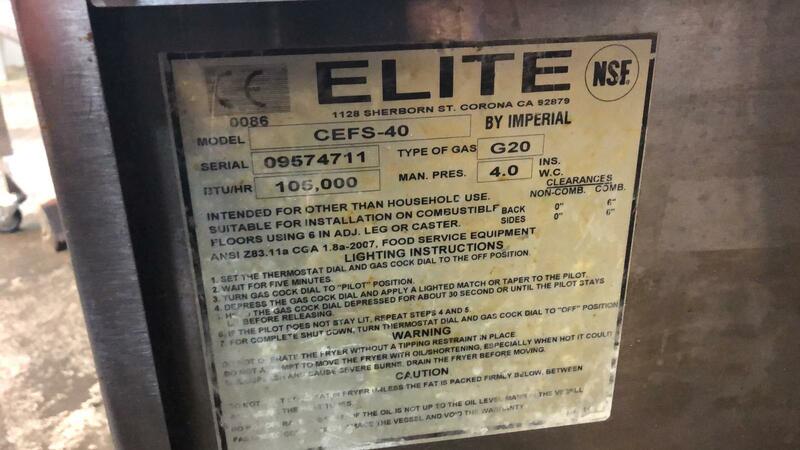 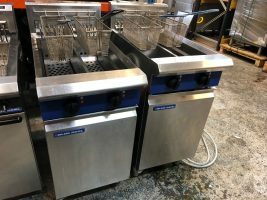 Powerful stainless steel Elite Single Tank Twin Basket natural gas fryer by Imperial comes with two large nickel-plated fry baskets. 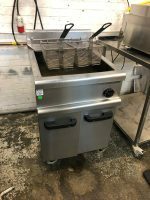 Featuring three heavy duty burners, double panel door, aluminium side panels, four adjustable legs, large drain port and fine mesh crumb screen. 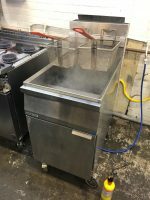 Made all with Stainless Steel so extremely easy to keep clean. 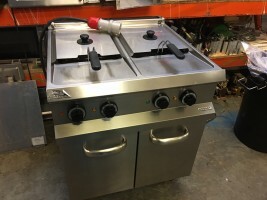 Been fully serviced by our own Gas Safety Engineers.